Do you own TP-Link AP200 Dual band WiFi AP but facing performance issue. the major issue is performance drop can be miss-configuration and wrong channel selection. see the easy manual for how to configure TP-Link AP 200 Access Point First Time as Access Point mode. TP-Link AP200/AP300 dual Band wifi Access point with Gigabit Ethernet Access point for indoor use. If you are looking for dual band PoE enabled desktop indoor access point for your office and home WiFi than AP200 is the best option. TPLink AP200 support multi-mode such as Access point, Repeater, and Client Bridge. Separately guest network can be configured with the AP200 access point to avoid internet data leakage due to sharing main Wi-Fi internet with visitors.If you are the game lover but your existing router disappoint you with Wi-Fi gaming performance. It’s time to upgrade it with AP200 to make a faster and smoother gaming experience over wireless networks. Best Thing is its support dual band which never let you down during live UHD video streaming as well as 3D HD game. Dual band double Omni antenna gives you excellent signal coverage in every area to always get connected in home and office. 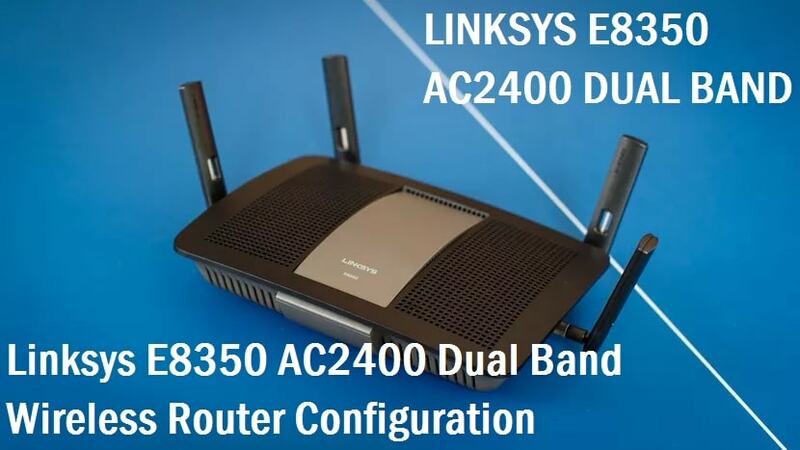 TP-Link AP200 also best for the dual player game in local wifi network which required high-speed connectivity to play smother and fast. 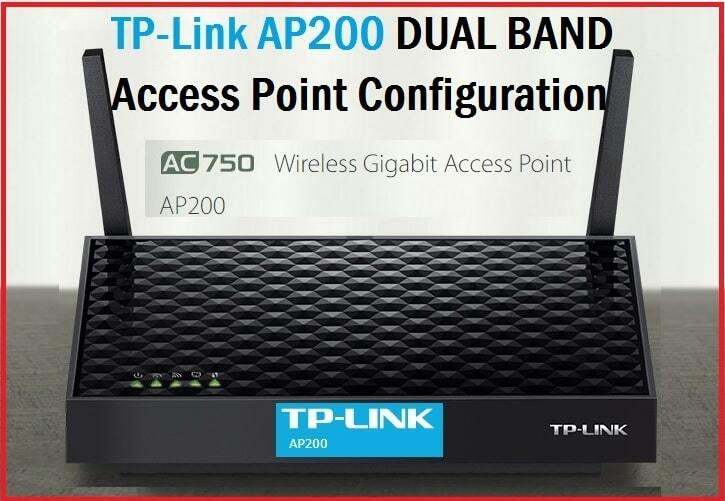 In this post, you are going to configure TPLink AP200 dual band as Access Point mode. 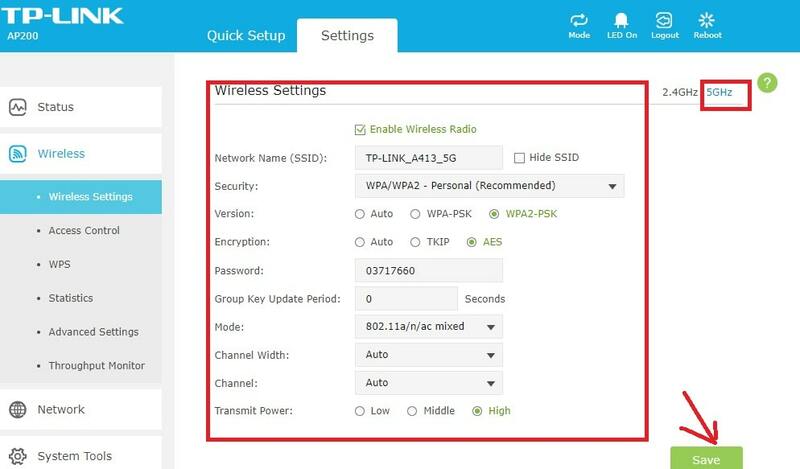 Before starting, how to configure TP-Link AP 200 Access Point First Time, also checks the brief specification of the device to understand the strength of this WiFI AP. AP200 having 300Mbps in 2.4GHz and 433Mbps WiFi speed in the 5GHz band. DC 12V power support from DC socket and up to 30 Meter distance PoE support through Ethernet. 30dBm transmit power and 2-Detachable dual band antenna for the cover maximum area with excellent signal. 1 No 10/100/1000 Ethernet and 1 reset and WPS button also. Software side supports Wireless Modes, Access Point, Repeater (Range Extender)/Bridge with AP, Client. Connect the Power Adapter to DC socket to power on AP200. Take Ethernet cable and plug in yellow port one side and other side connect to PC/Laptop LAN port. 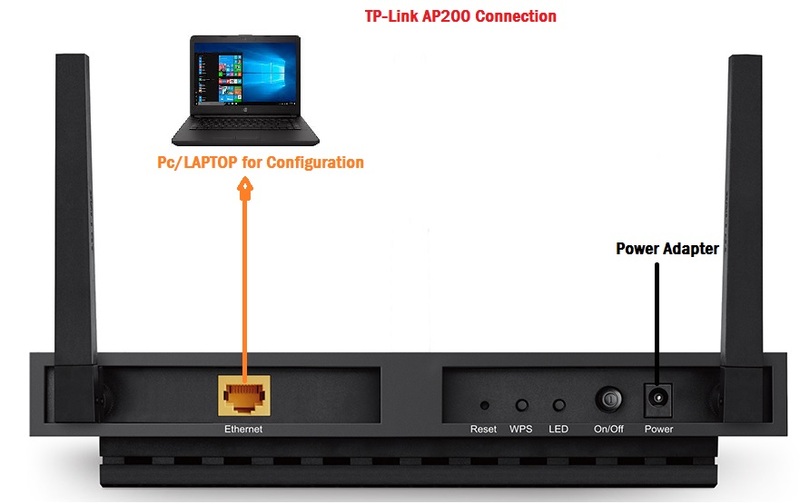 Configure the PC/Laptop LAN port to DHCP or use the static IP same series of TP-Link. So use the 192.168.0.10 to the laptop. You can login with default “192.168.0.1” or “tplinkap.net” for TP-Link. Type URL or IP address in the browser and hit enter key. 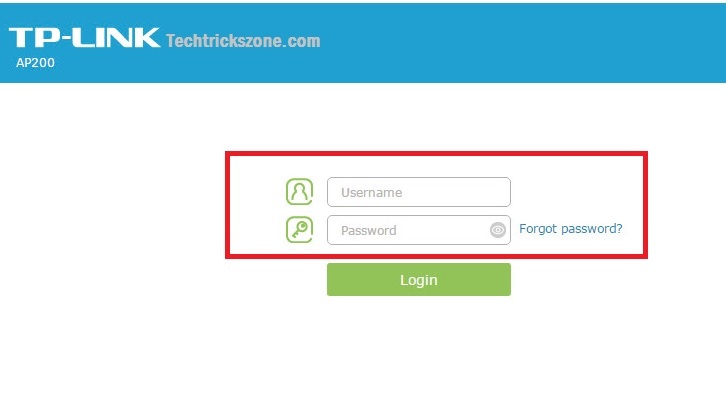 Use TP-Link AP200 default username and password admin/admin. 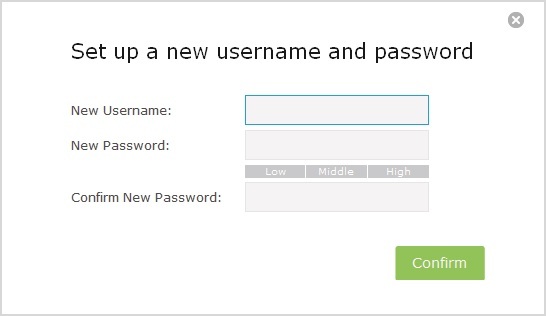 In first login, you will get a password and username change option. Press the confirm button to save the setting and login interface. After login, you will land on the status page where you can see the physical connection status with connected Wireless client list. As above already mention specs of AP200 support AP, Repeater and client mode. First, select the operation mode you want to configure your WIfi device for. To change AP200 Operation mode click the Mode icon from the top menu. 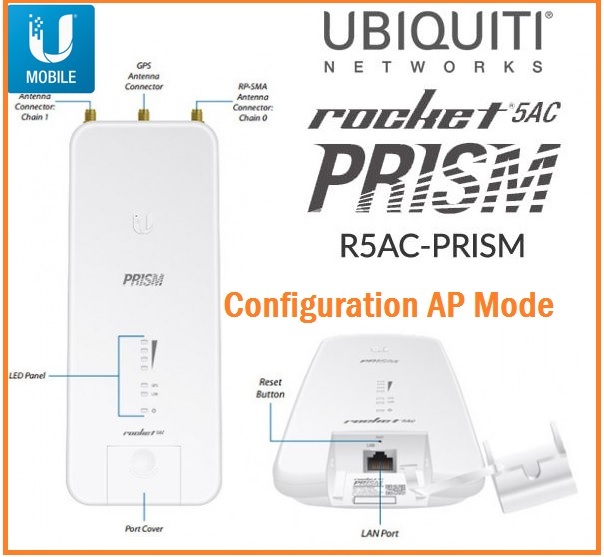 Mode Selection– Choose Access Point for AP mode. As the AP200 having only single port so it doesn’t support router mode so need to configure wireless name and password. As the AP200 having dual-band wireless so need to configure 2.4G and 5G both settings. 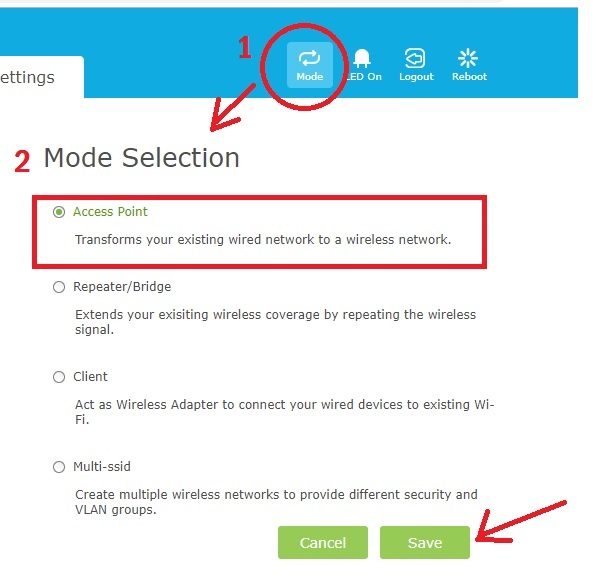 To configuration of WiFi setting in AP200 follow the steps below. Channel– if you are using more than 1 WiFi device than use the channel number -1, 6, 11 or if only single AP using keep it Auto mode. Transmit Power: Choose the power as per your area size. To configure 5G band in AP200 press the 5GHz band next to 2.4GHz and below the top menu icon. Channel– use your country legalize channel. Second important steps, change the default IP address to avoid unauthorized access of your wifi device. To change TPLink AP200 LAN IP address go to settings and LAN setting under Network option in left side vertical menu. Network Settings: Use the following IP Address – type the new IP address and subnet mask according to IP series. To avoid most of bugs and problem in Wifi device is keep update firmware with the latest version always.You can upgrade TP-Link AP200 firmware directly from the internet or offline with download firmware. To upgrade the firmware in TP-Link AP200 device. 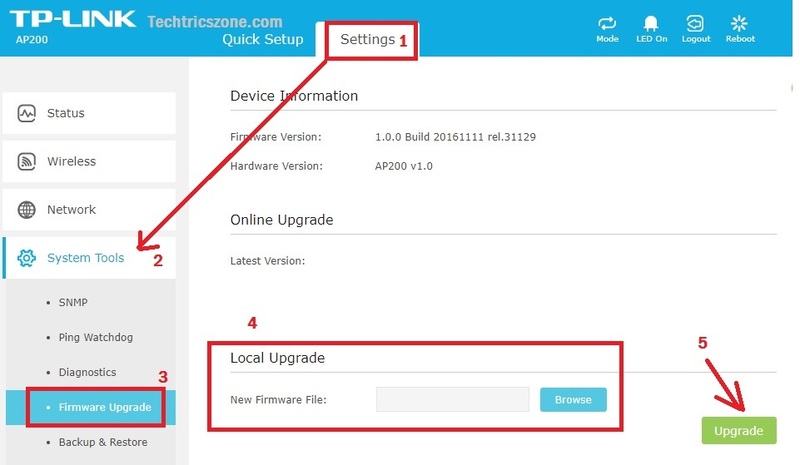 Online Upgrade: to auto upgrade your AP200 AP device configure the internet IP address and AP200 should connect with the active internet connection to get the auto-upgrade firmware from TP-Link server. TP-Link AP200 Dual band WiFi Access point with gigabit Ethernet port can be the best upgrade option for older fast Ethernet Access point. You can enjoy fast speed with seamless Wi-Fi connectivity and buffer free streaming for UHD video and gaming purpose. 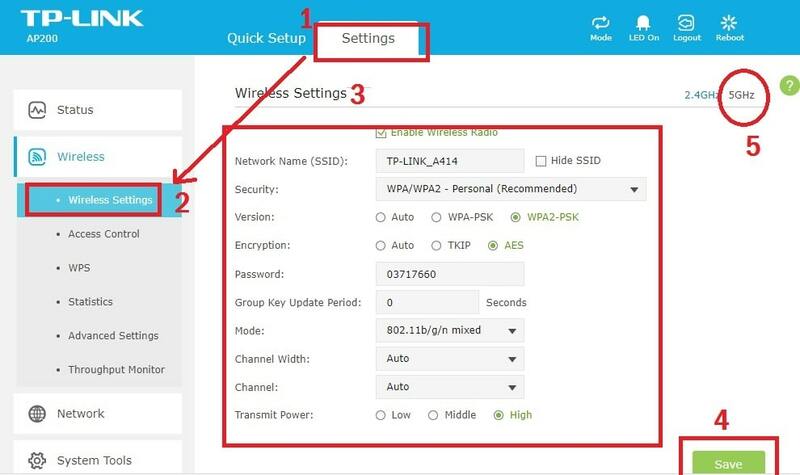 To avoid Wi-Fi problem due to the wrong configuration follow the above username to know how to configure TP-Link AP 200 Access Point First Time.